Over the years, critics have claimed that the Dash Masternode network is susceptible to centralization. 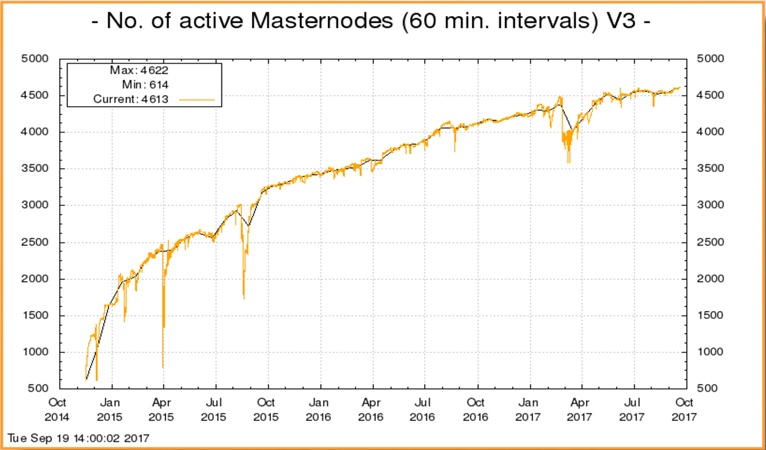 Initially, the charge was that only a few early adopters own Masternodes, and so they control the network. This argument has begun to fade as it’s become clear that Masternode owners are a diverse bunch. However, Dash detractors have come up with another potential centralization threat: when the price of Dash skyrockets, existing Masternode owners will sell and only big pockets will be able to afford buying them out and setting up their own Masternodes. According to this argument, the network will then become centralized around these wealthy players. Could this happen? Is the Masternode network in danger of being only in the hands of those with big pockets, i.e. corporations and government agencies? Fortunately, we have some data to help us evaluate this criticism.